Steven Peake from Barracuda Networks joined us at IP Expo to talk about business security and email protection. Hosted by Bill Mew and Jillian Kowalchuk. Darryl Kelly is joined by Sujit Bhatt from IBM to talk about the challenges that IBM and their customers are facing in relation to IoT. As well as highlighting best practices they also discuss the solutions they provide to overcome those challenges. Darryl Kelly is joined by Sujit Bhatt from IBM to talk about what IoT means to IBM and their customers and how the Internet of Things (IoT) is a really exciting area to work in. They discuss the benefits, challenges and best practises customers find with IoT as well as the current trend over the next 12 to 18 months where large number of companies have IoT as a top project area. Marc Wilczek from Link11 has some interesting insights into why small businesses may be the most vulnerable to a cyber attack. A live panel discussion with experts at IP Expo Europe 2018 as they discuss the evolution of serverless architectures and what to expect for the next generation of cloud. What exactly is a serverless architecture? How can your IT architecture be serverless and what does this mean for your tech teams? Companies going through digital transformation are doing more than just supporting legacy and one public cloud approach - they may be installing some public cloud apps like Salesforce or HR, but also developing cloud native apps as well as porting legacy workloads that keep the lights on. What are the pros and cons and how should a typical enterprise set their strategy and prioritise their approach to the new multi-cloud world? Joining David for this discussion are Chris Hill, Regional VP Public Cloud EMEA at Barracuda, Sean McAvan, UK MD at Navisite LLC part of Spectrum Enterprise, and Mark Finn UK Account Director at ScienceLogic. This topic is arguably the least understood both by businesses and the technology industry itself. In my day job, one of the key things that I focus on to help clients is to look at how they can manage cloud economics and how that affects their business case. In this episode of The IoT Show, we’re going to look at some of underpinnings of the IIoT and IoT. The topic of the IoT Platform. 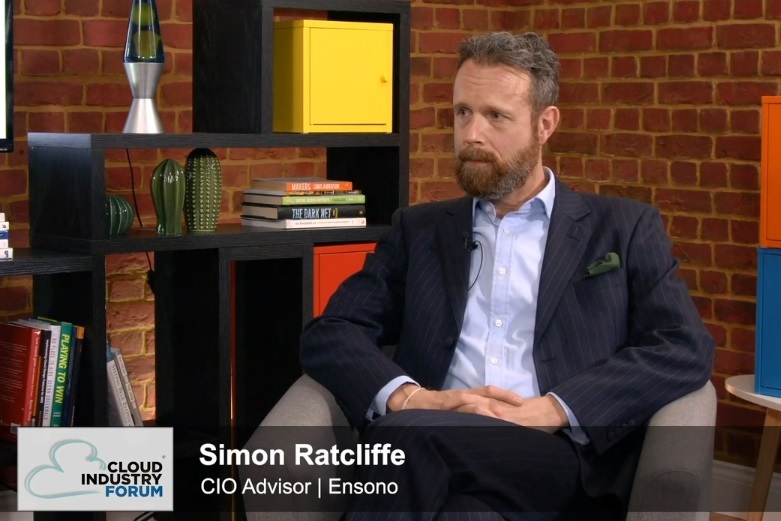 At Cloud Expo Europe 2018, #DisruptiveCIF had the opportunity to interview Mark Turner, the Ed Smith, Head Of Europe for Megaport, who discussed “Customer Cloud Journey Any Service on Any Cloud”. Women in Technology is an ongoing web-series produced by Compare the Cloud and Disruptive Tech TV. The aim is to highlight the achievements, roles and careers of women in the technology sector across the UK and Europe. Lee Rendell from Kaspersky Lab UK talks to CIF and Disruptive Live at the Bett Show 2018. Brendan Murphy from Civica talks to CIF and Disruptive Live at the Bett Show 2018. Mehram Sumray-Roots from Yada Events Technology talks to CIF and Disruptive Live at the Bett Show 2018.